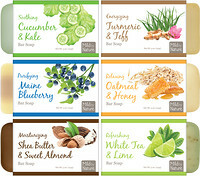 Mommy's Bliss Electrolyte Powder Packs contain just the right amount of v0ital minerals to help support hydration. 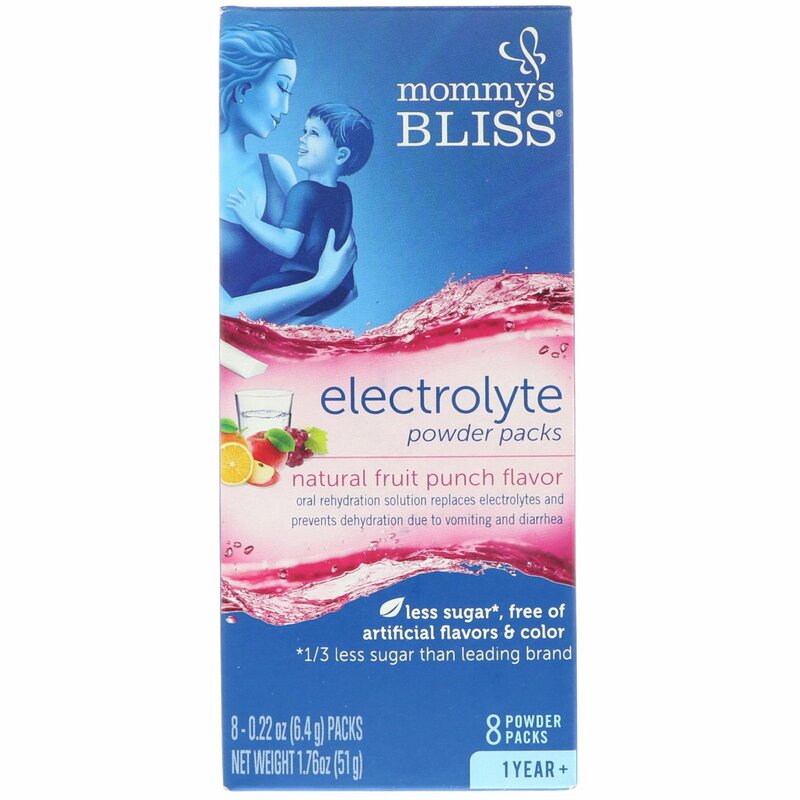 *Mommy's Bliss Electrolyte Powder Packs contain 3.5 g of sugar in 8 fluid ounces compared to Pedialyte which provides 5.7 g of sugar per 8 fluid ounces. Glucose, sodium citrate, salt, natural flavors, potassium chloride, citric acid, beet juice powder (color), rebaudioside A (purified stevia leaf extract). 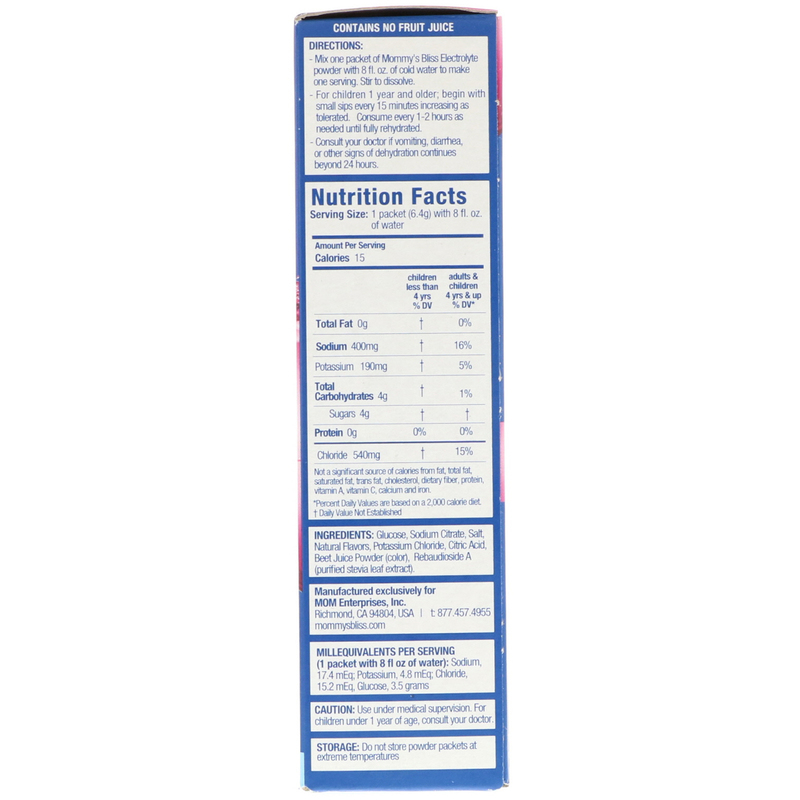 Millequivalents per serving (1 packet with 8 fl oz of water): sodium, 17.4 mEq; potassium, 4.8 mEq; chloride, 15.2 mEq, glucose, 3.5 grams. One Serving of Mommy's Bliss Electrolyte Powder Provides: sodium, 17.4 mEq; potassium, 4.8 mEq; chloride, 15.2 mEq; glucose, 3.5 grams.